Welcome back. It’s the first day of term, and sittings begin on Wednesday 5 June 2013 with the matter of R v Hughes, listed for two days. 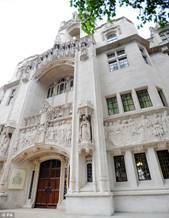 The appellant was driving a van without a full driving license or insurance when he was involved with a collision with another vehicle. The other driver was fatally injured. It was found that the other driver was driving erratically and in terms of civil law was 100% responsible for the accident and for causing his own death – he was almost certainly under the influence of heroin and was also found to have methadone, benzodiazepine and other drugs in his system; he had done several consecutive night shifts at work and had already driven 200 miles that day. It is for the Supreme Court to consider whether an offence contrary to the Road Traffic Act 1988 s 3ZB is committed by an unlicensed, disqualified or uninsured driver when the circumstances are that the manner of his or her driving is faultless and the deceased was (in the terms of civil law) 100% responsible for causing the fatal accident or collision. In Courtroom 2 from Wednesday 5 until Thursday 6 June 2013 are the linked appeals of R (on the application of New London College Limited) v Secretary of State for the Home Department, and R (on the application of West London Vocational Training College) v Secretary of State for the Home Department. In the New London College matter the appellant company, which provides further educational courses, is challenging the UKBA’s decision to revoke its Tier 4 General (Student) Sponsor Licence which enabled it to enrol non-EEA overseas students. West London Vocational Training College seeks clarification on whether guidance issued by the Home Secretary applicable to educational establishments which sponsor the applications of non-EEA nationals wishing to enter or remain in the UK for purposes of education is valid, following the UKBA’s rejection of its application for Highly Trusted Sponsor Status. There are no judgments scheduled to be handed down and no matters listed in the Privy Council this week. O’Neill (No 2) v Her Majesty’s Advocate and Lauchlan v Her Majesty’s Advocate, heard 29 – 30 April 2013. Ust-Kamenogorsk Hydropower Plant JSC v AES Ust-Kamenogorsk Hydropower Plant LLP, heard 1 – 2 May 2013. 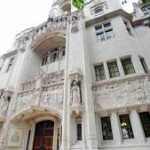 Leave a reply on "In the Supreme Court w/c 3 June 2013"